Noodles. Such a humble food, but oh-so-tasty when done right. 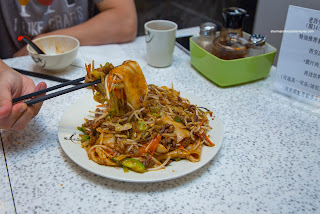 There is no shortage of places in Vancity to get them including Pho, TBN, Japchae, Udon, Ramen, Soba, Rice Noodles, Wonton Noodles, Pasta, Chow Mein, Laksa, Pad Thai, Mee Goreng and so on. I could go on and on about it, but you get the idea. One particular style of noodle that is gaining traction in the Lower Mainland has been Northern Chinese due to the influx of immigrants from China. That was in the mind of Kaiser Soze as he suggested we meet up at Old Xian's Food on Kingsway for the aforementioned Northern Chinese cuisine. 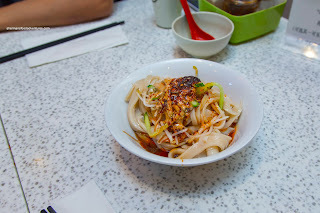 Naturally, we started off with the Cold Noodles in Sesame Sauce which were actually not that cold (more like lukewarm). Despite that, the quality of the noodles was top notch where the elasticity was on point. They were on the thicker side, but the texture and mouth-feel was exactly spot on being chewy with a rebound while not doughy. The spicy sesame dressing was flavourful, lightly spicy and aromatic. Next up, we had their award-winning specialty being the Pita Bread Soaked in Lamb Soup. With the smell of gamy lamb wafting from the broth, it tasted as good as it smelled. There was a meatiness accented by just enough salt and sweetness. The pieces of bread were semi-firm with an appealing bounce. 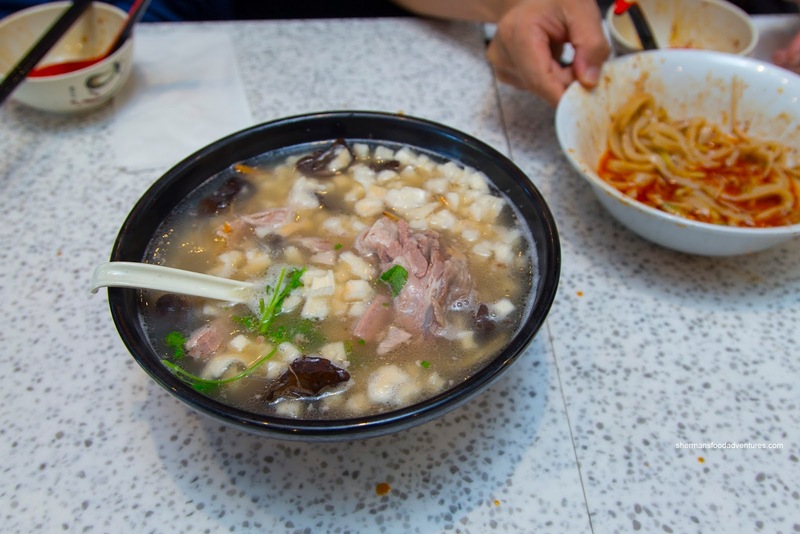 The large chunks of lamb were gelatinous and super tender where it practically melted in our mouths. For our fried noodle dish, we went for the Cumin Beef with biang biang noodles. 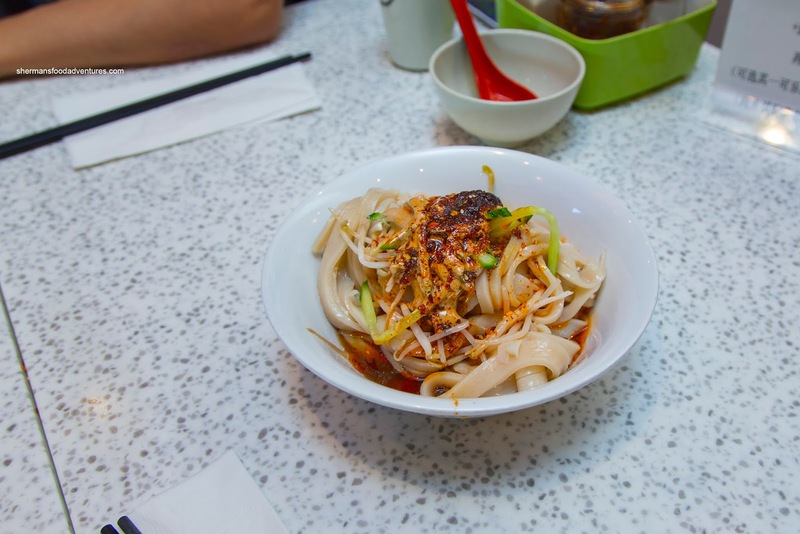 If we rated the dish on the large sheets of noodle alone, it would be a 10 out of 10 due to the chewy and slippery texture. However, the cumin beef mixture was a bit wet and clumpy. Furthermore, the beef itself was a bit chewy and cut up into thin strips which meant they were on the drier side. On the other hand, the ample cumin and caramelization from the wok heat did provide appealing hits of flavour. To change it up, we go the Pork & Chive Dumplings in hot & sour broth. 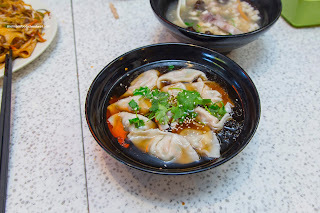 I thought the vinegariness was on point where it accented the dumplings perfectly. The dumplings themselves featured a tender and thin skin while the filling was tender and flavourful from the chives. 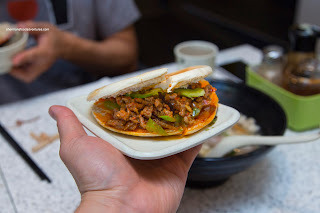 Lastly, we had the Spicy Cumin Lamb Burger which was pretty greasy from the stir-fry. It was similar to the cumin beef except with gamy lamb that was appreciably more succulent. The best part was the expertly grilled bread which was crispy, yet soft and chewy inside. 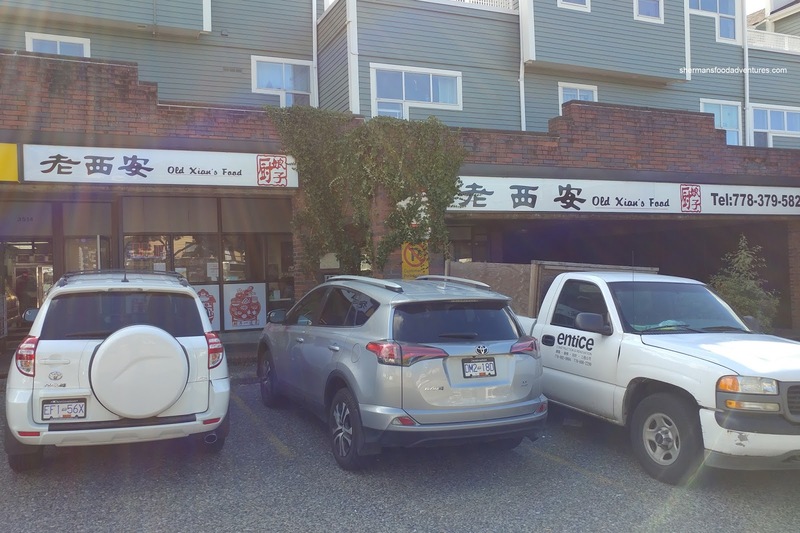 Although there were some minor things we'd like to see different with the food, the overall experience at Old Xian was good. Loved the noodles and the accompanying flavours. We will go back.